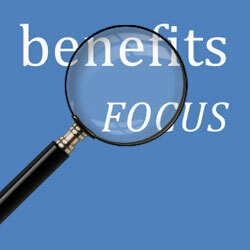 benefitsFOCUS is our way of communicating important Albemarle County employee benefits information to YOU! We’ll give you updates, tips, and head’s up announcements throughout the year to keep you in the loop. In this admittedly long (but very informative!) edition, we’ll tell you why you need to check your monthly earning statements via Greenshades (and what to look for when you do), what to expect for the new benefits plan year, and give you resources for accessing and using Greenshades like a pro! September payroll! Why is this a big deal? September is the first payroll for the new school year and it’s also the first payroll of the new medical/dental/FSA benefits plan year. So, while it’s always a good idea to review your monthly earnings statement for accuracy, it’s especially important to do this in September, as premium rates, changes to benefits elections you might have made, etc., that apply to the new medical/dental/FSA plan years are first reflected in September payroll. PLEASE be sure to access your earnings statement and carefully review your benefits deductions to ensure that your statement accurately reflects your benefits elections. PLEASE let us know immediately if you think something is amiss! Our NEW medical and dental plan year begins October 1st! If you newly elected the Albemarle Choice plan (our High Deductible medical plan with Health Savings Account) during Open Enrollment, you will not see ANY contributions into your Health Savings Account until the end of October due to IRS restrictions. This includes any voluntary contributions you may have requested. We’ll be sending you a targeted communication that will give you Choice-plan specific information, including helpful tips, so please be sure to review this communication when it arrives. Makes GREAT weekend reading! Anthem medical and dental cards come in separate mailings AND have separate online access accounts. Go HERE for medical plan account creation and go HERE for dental account creation. Greenshades is our monthly earning statement hosting platform, and so much more! In addition to accessing pay information and annual tax forms like W-2s and 1095s, you can use Greenshades to update your contact info and set/change payroll deductions for things like retirement savings, gym memberships, professional memberships, etc. We are also transitioning additional functions like benefits change requests and Open Enrollment to Greenshades, allowing employees more self-serve options than ever before! Link to the login portal: Want to learn more about accessing and using Greenshades? View our User’s Guide. Need help with September payroll/benefits questions or using Greenshades? For benefits-related questions, please email Human Resources at benefits@albemarle.org. For pay-related questions, please email Payroll at payroll@albemarle.org. If you have issues with accessing or logging into Greenshades, please email Helpdesk@albemarle.org or call (434) 296-5895. For more information about your employee benefits, our web pages are always available when you are.